Well. . . You found us even if you weren't looking for us. Calvary Chapel Perris Valley is a growing gathering of Christians that are diverse in social backgrounds, cultures and ages. Our passion is to KNOW God and Jesus Christ his Son, to GROW in His Truth and to GO deliver His Good News to the world. Come if you have no church home, come if you desire to experience God. When reading the Gospels Jesus expresses the simplicity of life with God. From His definition of eternal life as an intimate and personal relationship with God and His Son Jesus Christ (John 17:3), to His reciting of the Greatest Commandment to love God and others (Matthew 22:37-40), to His mission of reaching the world (Acts 1:8), He revealed just how close God is. Therefore, we believe that our purpose is to facilitate opportunity for you to KNOW God and His Son Jesus Christ, to GROW in his Truth and Grace, and be prepared to GO to serve and share with others the saving life you have received. We are an independent "Gathering" of believers that is in association with Calvary Chapel Costa Mesa and the hundreds of Calvary Chapels across the United States and the world. 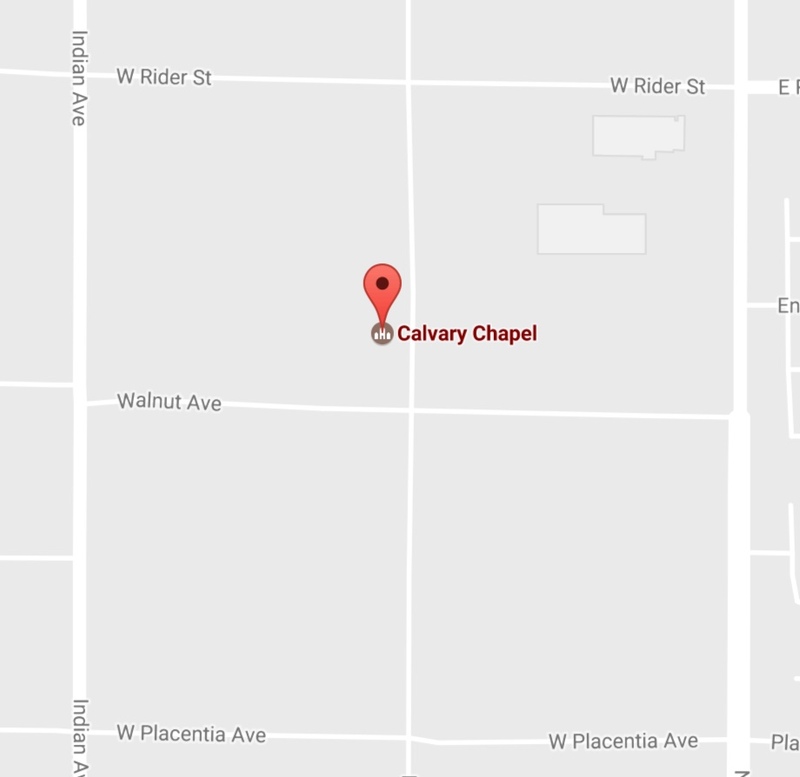 The early history of Calvary Chapel goes back to the Jesus movement of the 60's and 70's. The Lord used Pastor Chuck Smith who began a small church in Costa Mesa, CA. His commitment to teaching God's word and an openness to the grace of God was used to reach the hippies of Southern California. We continue to emphasis a systematic teaching of God's word and God's grace in our ministry to all.